Meet Harful Mahawar from the village of Shyampura Rajasthan India. 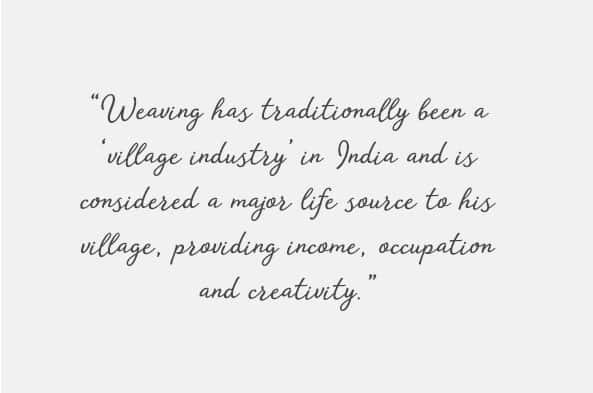 Weaving has traditionally been a ‘village industry’ in India and is considered a major life source to his village, providing income, occupation and creativity. 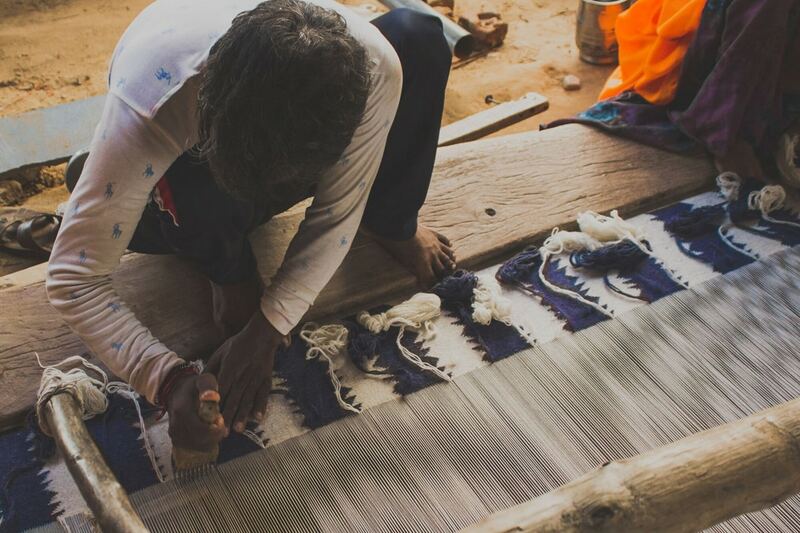 He learnt the ancient art of weaving on a wooden handloom through a fellow artisan. His job requires lots of patience as this art is very time consuming. 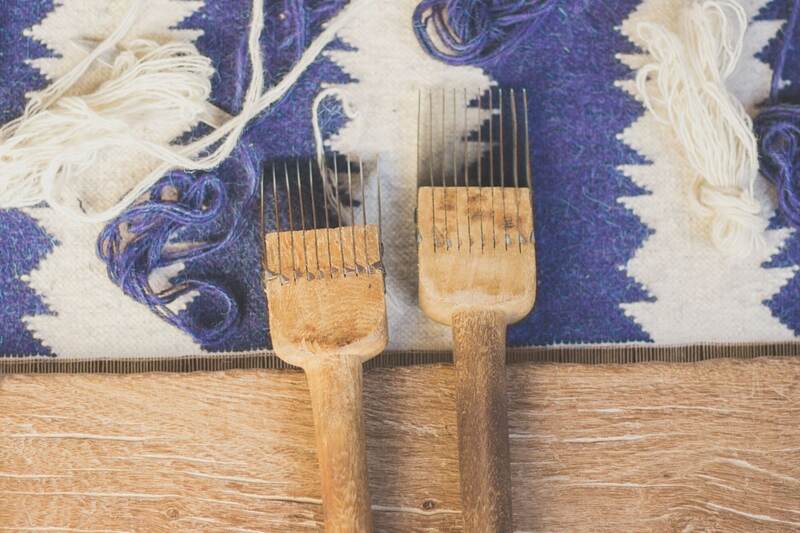 After the yarns have been dyed and prepared he begins by tying both ends of the yarn to the wooden bails. The bamboo bails are then placed (these are the handles which are pulled during the process). 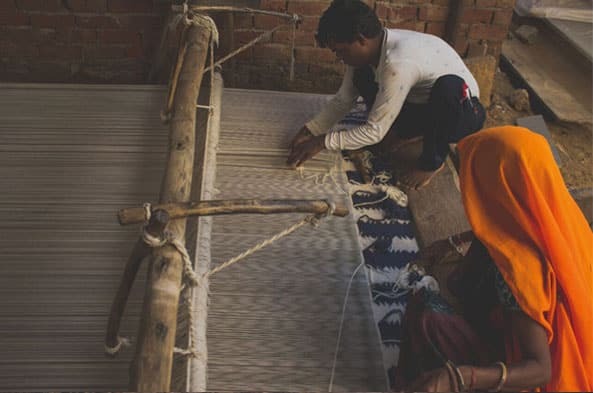 Next the threads are pulled according to the desired pattern and design. 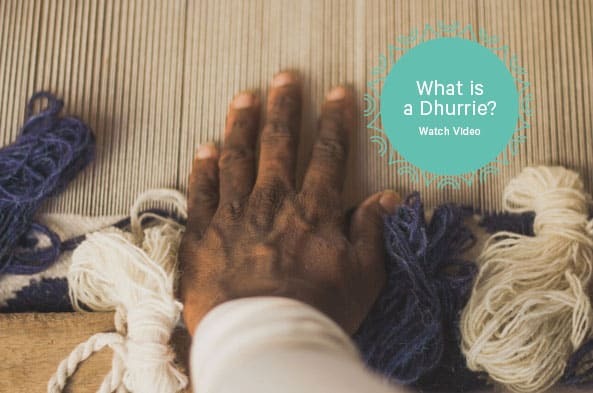 Mahawar’s main tool is a panjas, a wooden contraption with iron fingers, which he uses to tap each coloured threads into place. 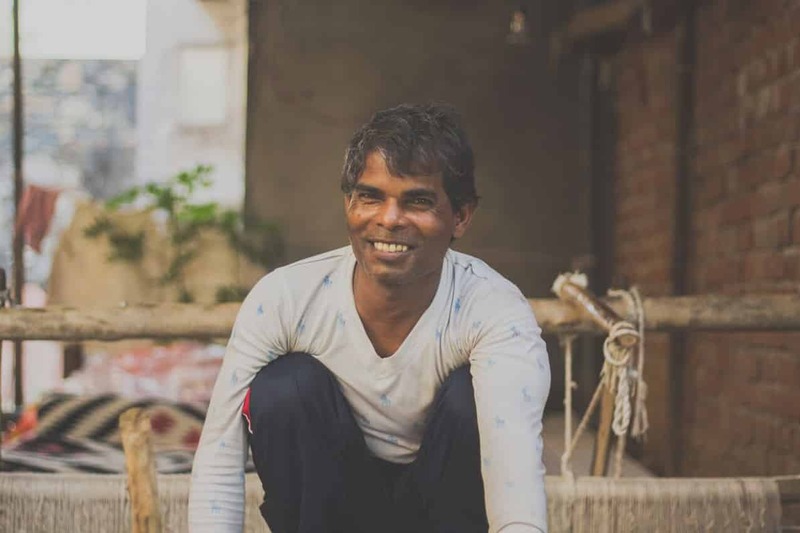 Mahawar loves his job, especially watching as the designs and patterns start to come together over time. 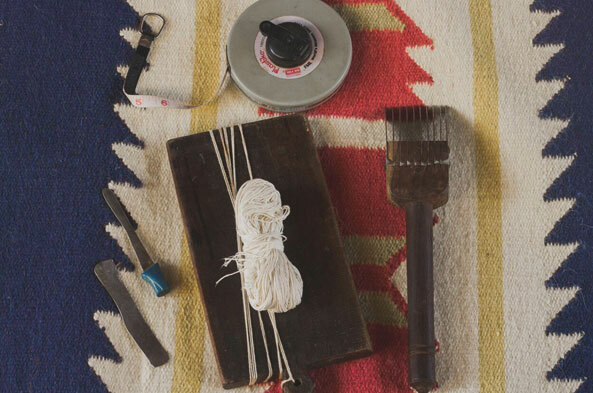 His favourite materials to work with are cotton and wool as enjoys their feel and texture. It makes him very happy and proud to know that his work and tradition is shared and enjoyed all over the world.